Then she made...: Can You Help? P.S. 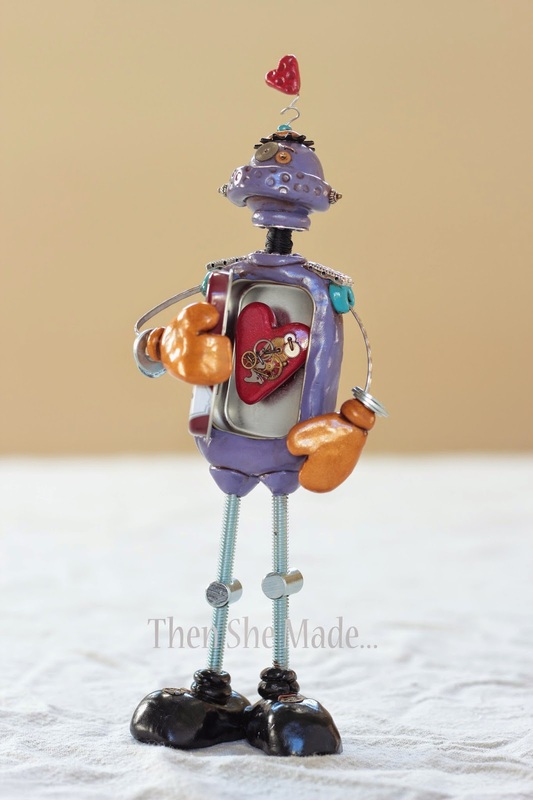 - I know I said I was working on Valentine's necklaces but I got distracted and ended up putting my "heart" into a robot instead. He's made using an Altoid tin and I get giddy every time I look at him. What do you think, should I do a tutorial? My husband says I need to show how I make these guys. I'm on the fence though as I think they are a limited interest craft - what's your thoughts? I personally would love to learn how to make this cute robot! Thanks for sharing all your inspiring projects! I would love to see a tutorial! I'd love to see how you made it. I think it's absolutely adorable!! That is Awesome! I'm a sewer but I can appreciate the work and talent, and I say Yes! 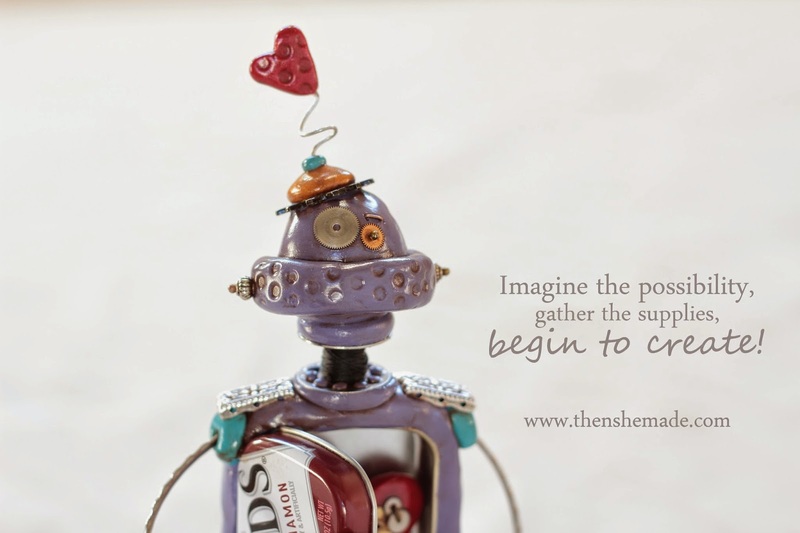 to a tutorial might encourage us to try and make our own Robbie the Robot! I would love to see a tutorial too! I would love to make this robot! My husband is the coach for a FIRST robotics team and I think he would get a huge kick out of it! Love, and I would probably make it if there was a tutorial. Please do! I would love a tutorial on this. Working on my post-holiday get-craft-room-in-order mission and found great stuff to use for this craft. Yes I Love the robots!